She's taught and mentored creative writing undergraduates at the University of Cumbria and also Lancaster University. In 2010 she gained a Doctorate in Creative Writing Poetry from Lancaster University titled "An Exploration of Identity and Environment through Poetry"; 2005 saw her awarded an MA (Distinction) in Creative Writing Poetry, also from Lancaster University. She undertook a BA Hons. in Imaginative Writing/Literature, Life and Thought at Liverpool John Moores University 2000 and gained a First. In 2002 she achieved a Res. Dip. in Creative Writing titled "Landscape in the Poetry of Emily Bronte". 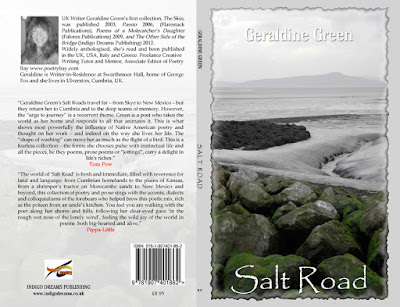 Geraldine became the first Writer-in-Residence at Swarthmoor Hall, Ulverston, Cumbria in 2014. As part of her residency she led a series of four creative writing workshops titled “In Search of the Sacred”, gave a talk on the work of Margaret Fell and George Fox, where she read from her pamphlet collection A Wing and A Prayer written in response to her residency and edited Living Words an anthology of writing by students on her 'In Search of the Sacred' workshops. In 2015 she became the first writer-in-residence at Brantwood, Coniston, former home of John Ruskin. Her new collection Passing Through contains work written in response to her Brantwood residency. Geraldine has been co-tutoring residential courses at Brantwood for seven years. Guest tutors include: Penelope Shuttle, George Wallace, Pippa Little and Graham Mort. Geraldine hosts poetry evenings, open mic and supper in The Terrace cafe, Brantwood. She also performed alongside Ulverston Saxophonist Jess Gillam at Brantwood in April 2016 and was instrumental in Steve Coogan appearing there at a fund-raising event in March 2016 for Cumbria Community Foundation Flood Recovery Appeal. Both events were sold out. Watershed, an anthology by Cumbrian writers, was published by Harestone Press to help raise money for the Fund. Co-editors: Nick Pemberton, Ann Wilson and Geraldine Green. 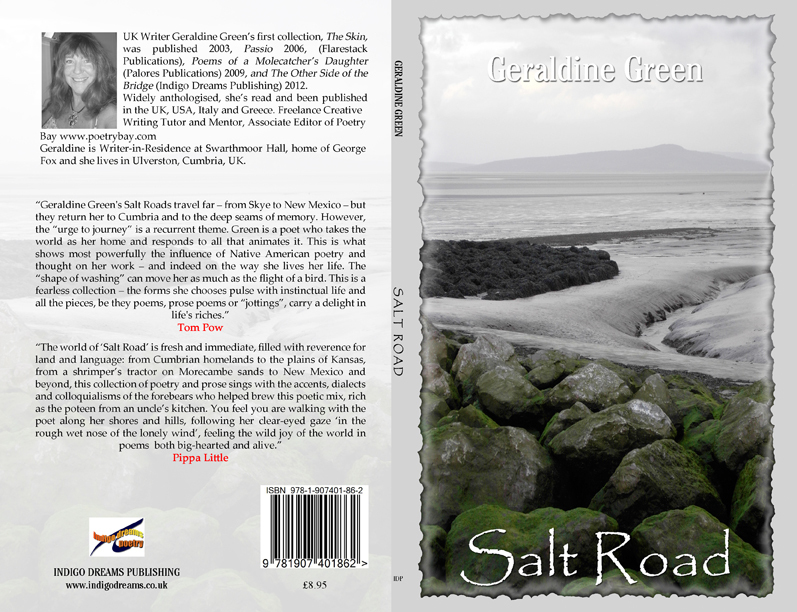 From Kendal to Kansas, Albany to Albuquerque, Cornwall to Callander, Suffolk to Swansea, Liverpool to Long Island, New York to Newcastle, Carlisle to California, Oakland to Oklahoma, Orta Italy, Skiathos Greece and many points in between, Geraldine enjoys reading her work across the UK and beyond. Geraldine read at the launch of the new Dalton Litfest November 3rd/4th 2017, alongside poet Kim Moore. She and Kim are hosting a poetry evening and open mic night on Saturday 4th November 2017. In 2018 she'll be reading at a variety of venues in the UK, including November 1st at Brantwood Coniston with Graham Mort, Helen Mort and Kerry Darbishire; Glasgow with Indigo Dreams Poets and Cinnamon Press Poets (30th June) - more will be added soon! Her reading style has been described as engaging, lyrical, enthusiastic, Beat-like, jazzy and sensitive. Geraldine is passionate about engaging with an audience and enjoys the grass roots communality of sharing poetry both in live performances and online globally. Other workshops include:... Brantwood; Swarthmoor Hall; Suffolk Poetry Society; Bank Street Writers, Bolton; Walt Whitman Birthplace, Long Island; Cont. Ed. Lancaster; Adult Ed. 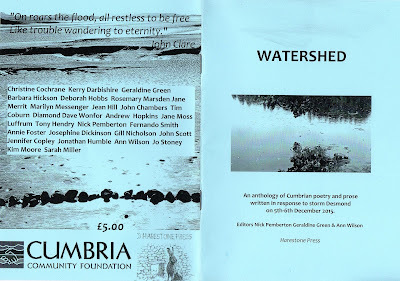 Dallam Heversham, Cumbria; Cumbria Wildlife Trust; Grizedale Forest "Write in the Forest", Carte Blanche Writers, Newcastle and many more during her 15 years plus of tutoring, mentoring, editing and writing. 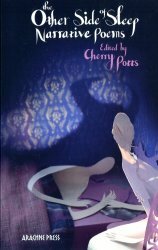 Geraldine's third full collection, Passing Through, will be published in 2018 also by Indigo Dreams. Recipient of special commendation at the 2005 Poetry on the Lake Festival, Orta, Italy, her work has appeared in many magazines and anthologies, including: Private Photo Review (Italy), The Long Islander and ZAUM (US), Orbis, Tears in the Fence, Southlight, FAL Poetry, Diamond Twig, Smoke, Obsessed with Pipework, Poetry Cornwall, Seventh Quarry, And Other Poets, The Poetry Shed, Qualia, InterlitQ, Jacket2, Citizen 32, Raindog, Neon Highway, Envoi, ORC, Poet's Letter Magazine, The Stare's Nest, Mediterranean Poetry and the Argotist Online (UK) and US online magazines, LitKicks, Mountain Voices, Out of Order and Cezanne’s Carrot. An anthology of long poems from several pages in length to almost epic proportions, this anthology republishes Brian Johnstone's poem sequence Robinson (originally published as a pamphlet in 2000). 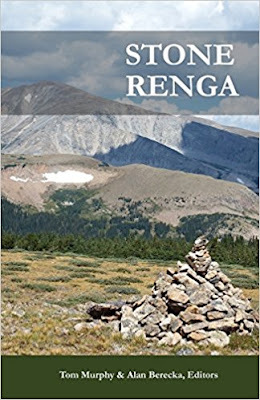 The long but by no means traditional poems, by contemporary voices all tell a story, sometimes in a straightforward purposeful way, sometimes in a roundabout oblique way, but always with a thread of narrative woven through. Contributors include Angela France, Geraldine Green, Inua Ellams and Kate Foley. Geraldine, who frequently performs her poetry in North America, has read at a variety of venues with New York poet George Wallace, including the Woody Guthrie Festival in Okemah, Oklahoma Woody Fest on an extended poetry trip to Oklahoma and Kansas, July 2012; alongside Jack and Adele Foley, Michael McClure and other poets in Oakland, California 2009; the William Carlos Williams Center Rutherford New Jersey; Bright Hill Center Catskills Upstate NY; Gordon Parks Center Fort Scott Kansas; a variety of venues in and around New York City and many more! Poetry Readings in the US: 2015 saw her celebrate ten years of poetry 'road trips' across America. The first poem in the anthology is by Linda Hogan and the last by Floyd Salas I'm honoured to be in their company and that of 57 other wonderful poets. and to have lines about freedom from one of my poems included in a Patchwork Poem for Freedom, chosen by Federation Writers Scotland, Makar Andy Jackson, alongside many fine poets. The poem will be read on National Poetry Day at GoMA Gallery of Modern Art, Glasgow, Thursday 28th September 2017.